 APIA Leichhardt Tigers shook off their first loss of the season on Good Friday to put away a wasteful Marconi Stallions side 3-1 on Wednesday night at Marconi Stadium in a round 3 catch-up clash. Both sides were keen to avenge their losses over the Easter weekend, but it was the Stallions that dominated the first half as they peppered Ivan Necevski’s net but couldn’t break through. The Tigers rode their luck and Jordan Murray scored a poacher’s goal to give them the half-time advantage. As the game stretched in the second half, APIA added a pair of chipped finishes through Tasuku Sekiya and veteran Franco Parisi to seal the points while Braden Cheng came on late and prodded home for the home side. After Stallions coach Peter Tsekenis admitted his side were naïve in their defeat against Manly United FC, they raced out the starting blocks with a point to prove. Marko Jesic tested Ivan Necevski in the sixth minute after a feint from Matteo Poljak opened space. Brandon Vella, who had a stellar first half had a half shout for a penalty but was waved on by experienced referee Kris Griffiths-Jones. Waves of attacks continued from Marconi as Sean Rooney and Troy Danaskos stung the palms of Necevski with the home side edging ever so close for the game’s opener. The Tigers are a wily side and some quick thinking from defender Nathan Millgate at the throw in sent Jordan Murray into space but neither he or strike partner George Howard could trouble Stallions custodian Nenad Vekic. Motivated by that chance, the Tigers took a surprise lead just before half-time. The 2017 NPL NSW Men’s Player of the Year recipient Sean Symons responded quickest in the box to square the ball to Murray who calmly finished for his second of the year as the visitors took a surprise 1-0 lead into the break. Marconi continued to make the lion share of chances but the Tigers proved to be a determined outfit not giving up. The best chances for APIA came on the counter, as Howard’s pace created headaches for an already burnt Stallions defence. The Victorian strode clear in the 65th minute but took his shot early which allowed Vekic to gather. Vekic made a terrific double save 60 seconds later as both Howard and Murray were unable to get power behind their attempts to make it difficult. As time ticked on, it looked like it wasn’t going to be Marconi’s night. A grass cutting Poljak effort fizzed through the area, fooling Necevski but as was the story tonight, an APIA defender appeared to clear it. The Tigers stout defensive structure brought them their second goal. A quick counter started from substitute Corey Biczo had the Stallions defenders on their heels as he squared it to Sekiya. The Japanese attacker eloquently chipped the ball that hit the back of the net in style putting the game to 2-0 to the visitors. Rooney then had a pair of chances late for a consolation for the Stallions. First his optimistic free-kick failed to trouble Necevski then in the 90th minute, he skipped clear of the shotstopper but couldn’t force it home. Cheng clawed one back for the home side after a Rooney knock down was swept home by the substitute but their comeback was short-lived. It was another substitute, the ever experienced Parisi, as the Stallions committed numbers forward, he found himself space and with a deft touch chipped Vekic to make it 3-1. Marconi boss Peter Tsekenis was blunt in his assessment of the contest. “Look, we can sit here and make excuses but the game finished 3-1. “We got no points and they got three that’s how it finished. “All I’m going to say is that they should buy a lotto ticket after that game. For APIA Leichhardt Tigers coach Bill McColl, the Scotsman was delighted to have bounced back after their loss to Blacktown City on Good Friday. “It was a good response, a different game but good from the boys.